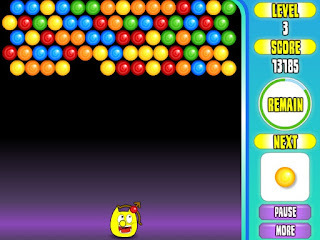 The classic bubble game with converted graphics and improved controls. Your objective is to launch and break the candy bubbles on the top of the level. 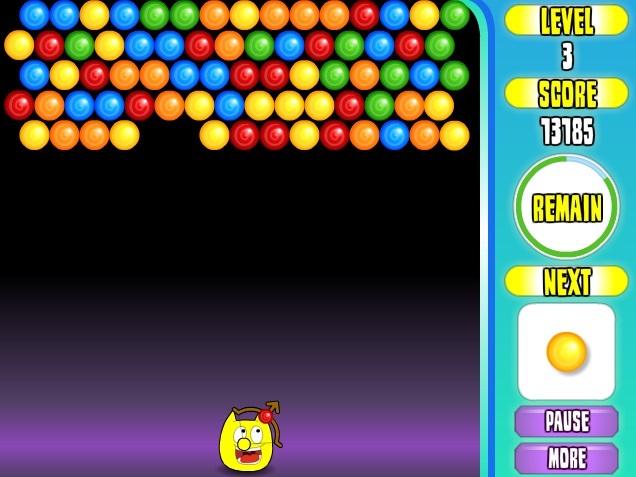 Collect all the candy bubbles to proceed to the next level.